EZAwn Quarter Round Style Porch Covers & Door Canopies are sized at 8' wide and made from the finest awning canvas utilizing Sunbrella Awning Fabric and priced at what a typical less expensive vinyl or plastic awning might sell for. Sunbrella is the finest awning fabric available plus it also carries the industries longest fabric warranty that being five years. 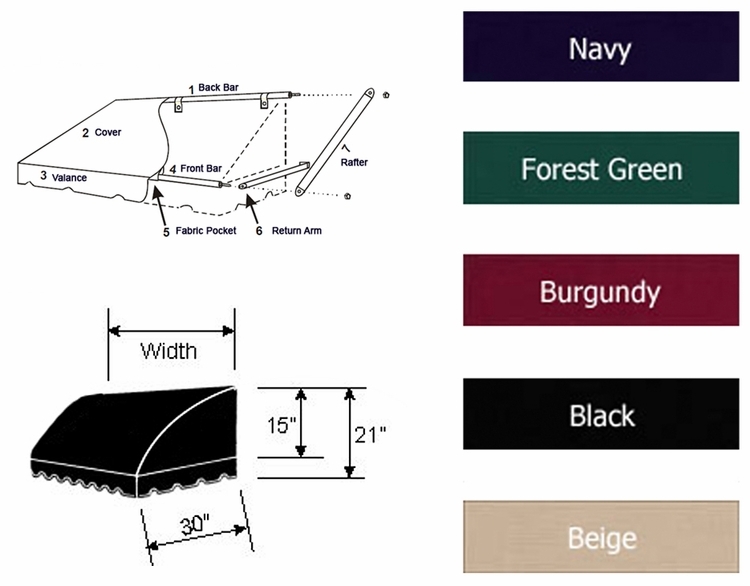 These are standard sized awnings and cannot be tailor-made but because they are made in only several widths and five colors they can be produced in quantities that make them extremely attractive for potential buyers oftentimes selling for less than half the price of a custom made Sunbrella awning. All Quarter Round Awnings from EZAwn are 21 inches high at the back and project 30 inches from the wall. 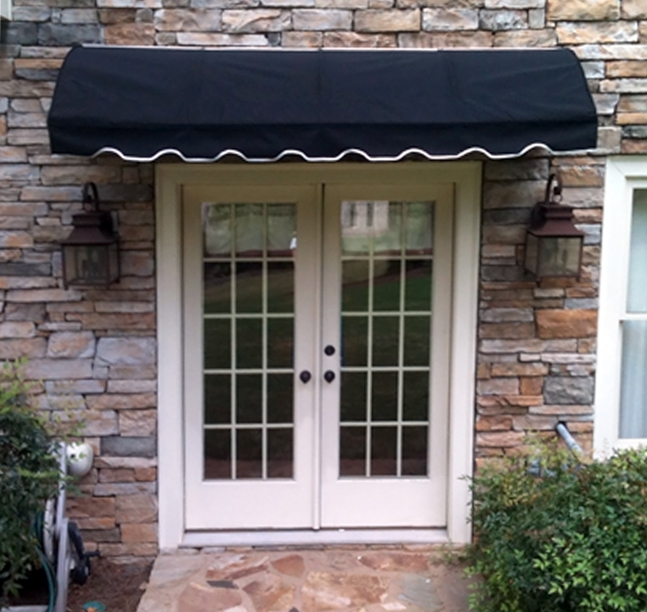 These attractive porch cover and canopies can be easily installed in under an hour. 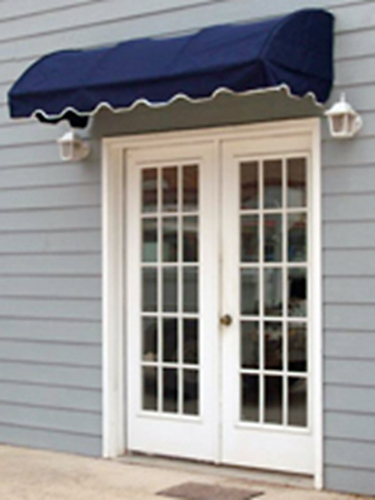 These quarter round door canopy and porch covers also incorporate an extra study frame of powder-coated white aluminum capable of withstanding wind gusts of up to 75 mph. These porch canopies are compatible with all U.S. building codes and are warranted for five years. This is a product that can enhance the curb appeal of your home, help lower expensive utility bills as well as protect the furniture from U.V. fading due to the sun's direct rays. Add to the fact that they can also protect you from the weather and it's hard to imagine any other single item for your house that can provide so many benefits and at the same time save you money as well as beautify your home.